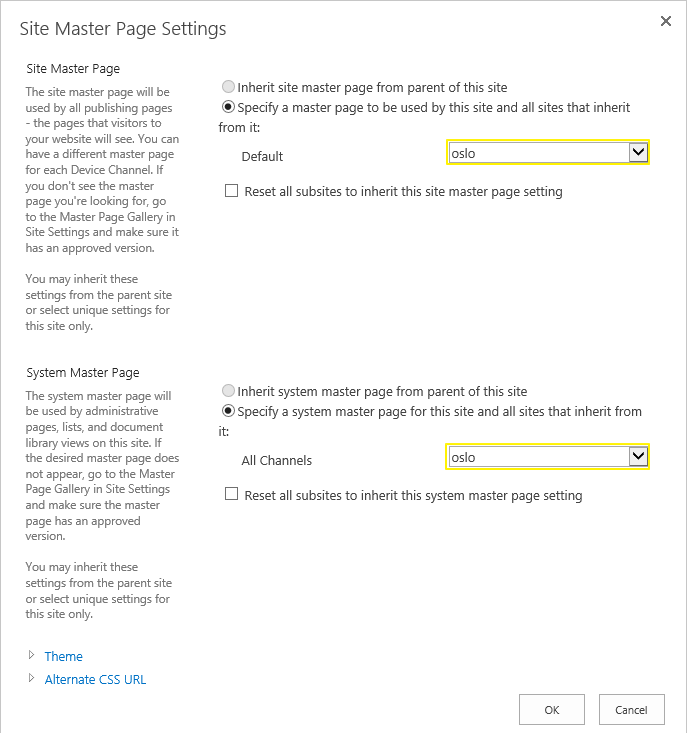 Requirement: Change Master Page in SharePoint Online. How to Set Master Page in SharePoint Online? Pick the master page to be used on all site pages. Optionally you can specify if you want to "Reset all subsites to inherit this site master page setting" hit OK. 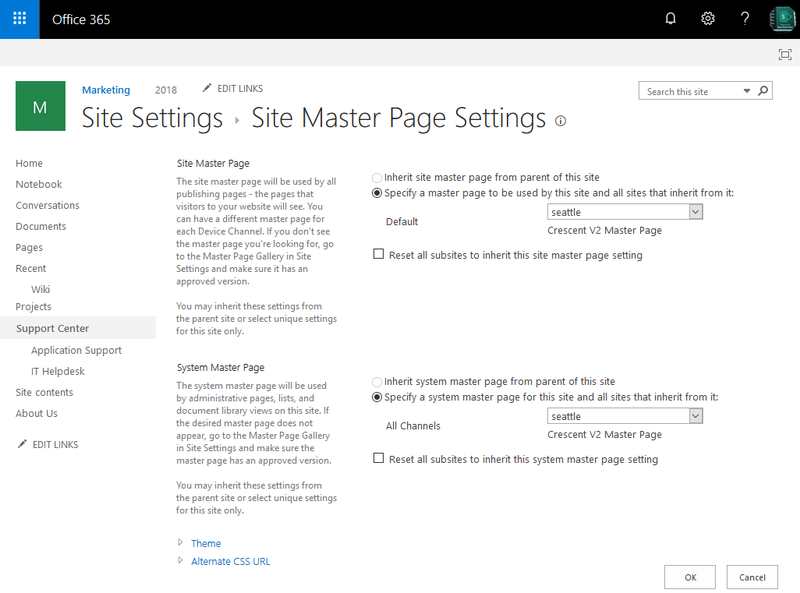 This sets the master page for your SharePoint online site. From this page, you can set theme and alternate CSS for your site to add even more branding to your SharePoint Online site. Note: If the Master Page link is not available in site settings, you need to activate SharePoint Publishing feature with these steps: How to Enable Publishing Feature in SharePoint Online? Now, To automate the process of changing custom Master Page, let use PowerShell! Here is the SharePoint Online PowerShell to set master page, assuming the custom master page "Crescent.master" is already deployed to the site. This script sets master page for a given site (web). Lets alter the script slightly to change master page for all subsites in a site collection. To change master page in SharePoint Online site collection including each subsite, use this script.